Solid Ink is a patented colour print technology offered only by Xerox. Similar to a wax crayon, small solid blocks of non–toxic, no–mess ink are used, as opposed to traditional toner and inkjet cartridges. 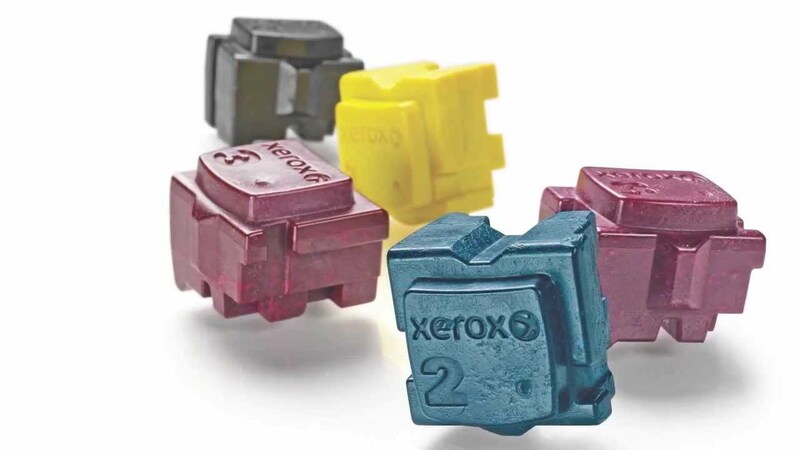 Xerox Solid Ink printers melt blocks of the Solid Ink and lay them onto the page at print speeds close to that of Laser machines. The Solid Ink blocks are easy–to–use and do not compromise on print quality.